On 7 February 1956, two weeks after Ella Fitzgerald’s first session for Verve records, she was back in the studio with Buddy Bregman and an orchestra recording what is arguably the defining record of her career, Ella Fitzgerald Sings the Cole Porter Songbook that helped Verve to become the quintessential jazz label of the 1950s. Ella, Norman Granz and Bregman went to Capitol’s studio in Hollywood and spent three days recording what was to be Ella Fitzgerald Sings The Cole Porter Songbook. The combination of Ella and Porter is irresistible and whether up-tempo or down-tempo, Ella’s three-octave range voice soars effortlessly as she makes each song come to life. It was all helped by the cream of LA session men and Buddy Bregman’s arrangement that oozes sophistication way beyond his twenty-four years. It is a perfect record. Listen to Ella Fitzgerald Sings The Cole Porter Songbook right now. Granz had initially wanted Nelson Riddle to do the arrangements for Ella, but he refused, probably because he was committed to Frank Sinatra’s recording career at this point. Granz, while taking a chance on Bregman, would later reveal to his biographer Ted Hershorn that he was not at all bothered about the band’s arrangements. It was all about Ella’s voice. That thinking does a disservice to Bregman’s arrangements; they provide the perfect musical cushion and accentuate the melodies of Porter’s wonderful songs. Among the cream of West Coast session musicians, many of whom graced the fabulous recordings that Frank Sinatra was making around the same time, are trumpeter, Harry ‘Sweets’ Edison, Milt Bernhart’s trombone, Herb Geller, and Ted Nash and Bud Shank doubling on clarinets and saxophone, as well as trumpeter Maynard Ferguson. Two weeks before recording Ella’s version of ‘I’ve Got You Under My Skin’, Edison and Bernhart had recorded Nelson Riddle’s arrangement of the song with Sinatra, the one featuring the trombonist’s fabulous solo. The thirty-two tracks, Ella Fitzgerald Sings The Cole Porter Songbook, came out on 15 May 1956 as a double album and sold for $9.96. By July it had made No. 15 on the Billboard Best Sellers list after Verve had taken an extensive advertising campaign in Esquire, The New Yorker, High Fidelity and a dozen Sunday Newspapers across America. In September Ella was the headliner on the annual JATP autumn tour of America. By the end of the year the double LP was No. 18 on the list of Best Sellers for the whole year, one that was dominated by soundtrack albums. If for any reason you’ve never listened to this album you are missing one of the great recordings of the 20th century, if you have heard it you’ll know what they’ve been missing. 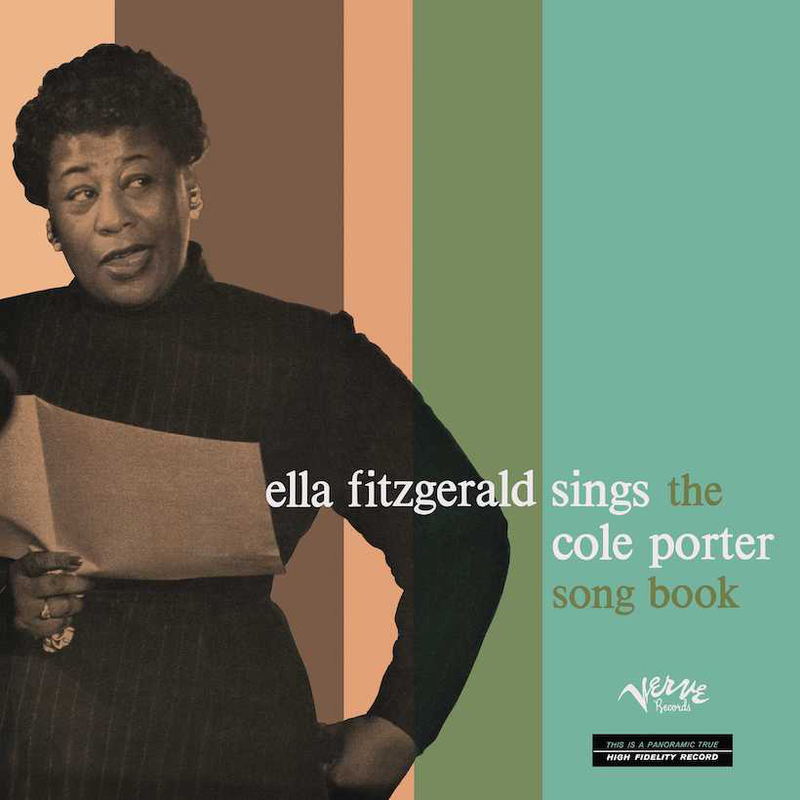 Ella Fitzgerald Sings the Cole Porter Songbook can be bought here. Listen to the best of Ella Fitzgerald on Apple Music and Spotify.